Providing you the best range of paving fabric with effective & timely delivery. We are the leading manufacturer of Paving Fabric and our product is made of good quality. 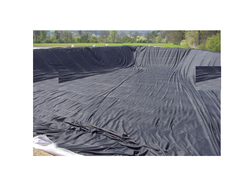 Paving fabrics create a barrier against water intrusion to the existing road surface. Used throughout the U.S as a way to cost-effectively maintain road surfaces.